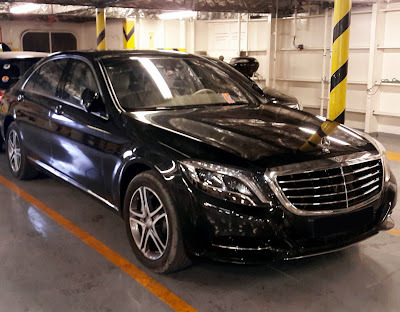 Mykonos Bulletproof Mercedes S-Class 500 2016 model is available for any guest who is looking to be totally secure while on the road as well. 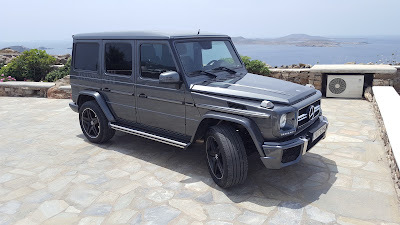 Together with our elite bodyguard or private armed security guards this bulletproof car in Mykonos will ensure your safety in Mykonos or where ever you might be planning to visit in Greece. Contact PRIVÉ - Exclusive Concierge to get a quote for this premium chauffeured vehicle. Mykonos Private Car & Chauffeur Services on a 24h basis. Our fleet is composed of more than 20 different type of vehicles and therefore rest assure that we got the car you like! From a Mercedes G-Class, Porsche Cayenne or a Mercedes S-Class in Mykonos to a Mercedes Minivan or VIP mini Bus.